96% of Embry-Riddle freshmen students receive some form of financial aid through scholarships, grants and loans. A variety of federal and private loan options exist to students who meet diverse qualifications including degree of study, past accomplishments, financial status and other such criteria. The William D. Ford Federal Direct Loan (Direct Loan) Program is the largest federal student loan program. Under this program, the U.S. Department of Education is your lender. Please visit Your Federal Student Loan Guidefor detailed information on Federal Student Loans. Federal Direct Unsubsidized Loan 5.05% (First disbursed between July 1, 2018, and July 1, 2019). Federal Direct Unsubsidized Loan (Graduate or Professional Students) 6.60%. (First disbursed between July 1, 2018, and July 1, 2019). Federal Direct PLUS Loan for (Graduate and Professional Students): 7.60%. Graduate and Professional PLUS borrowers can apply here. (First disbursed between July 1, 2018, and July 1, 2019). Federal Parent Loan for Undergraduate Students (PLUS) 7.60%. Parent PLUS borrowers can apply here. (First disbursed between July 1, 2018, and July 1, 2019). If you intend to use federal student loans, you must complete the Entrance Loan Counseling and the Master Promissory Note / Stafford Loan Application. Federal Student Loans will not be disbursed until you accept them through your Student Services Center after reading through the Award Terms and Conditions. As of July 1, 2013 - There is a limit on the maximum period of time (measured in academic years) that a First Time Borrower can receive Direct Subsidized Loans. In general, you may not receive Direct Subsidized Loans for more than 150% of the published length of your program of study. This is called your “maximum eligibility period”. Please review in more detail: Direct Subsidized Loan Limit. If the total loan amount you receive over the course of your education reaches the aggregate loan limit, you are not eligible to receive additional loans. However, if you repay some of your loans to bring your outstanding loan debt below the aggregate loan limit, you could then borrow again, up to the amount of your remaining eligibility under the aggregate loan limit. For more information please visit http://studentaid.ed.gov/types/loans/subsidized-unsubsidized. 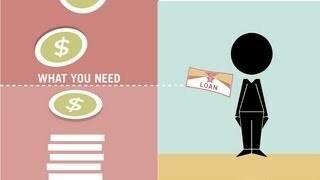 Request a reaffirmation of loan funds with the servicer of the loan indicated in NSLDS. Please contact the servicer and ask for a reaffirmation letter in the amount of your overage. Once you receive your reaffirmation letter, please email to us at prfinaid@erau.edu. Be sure to include your Student ID# when submitting. Federal student loans can be very useful in helping cover education and living expenses, but it is important to keep in mind that loans must be repaid. Borrowers need to understand the responsibility that comes with student loan debt because their borrowing decisions will impact their ability to meet future financial obligations. The articles below can help borrowers learn more about responsible borrowing and successful repayment. All students receiving Federal Stafford Loans must attend an Exit Loan Counseling session prior to graduation, withdrawal from the university or if enrollment drops below half-time status. Do not hesitate to contact us at 1-928-777-3765 with any questions.